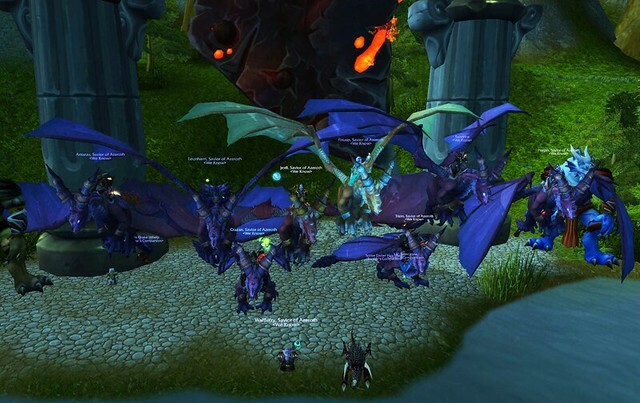 We Know Kills Deathwing on Heroic! SUPER GRATZ!!!! And grats to Jexii on the special mount! See I was just holding you back. Hopefully it goes easy next week. Did you guys do anything differently? We did go back to 3 healing. The funny part is that at the end, only Dardan was alive, he basically won it for us at the end there! well....if jexii's computer didnt wanna lock up every 2 seconds it wouldnt of been so bad. I know right? Stupid computer, I've filed a ticket with my desktop support (Jason) so that he can see what's up. He keeps adding overclocking and it makes me freeze up.